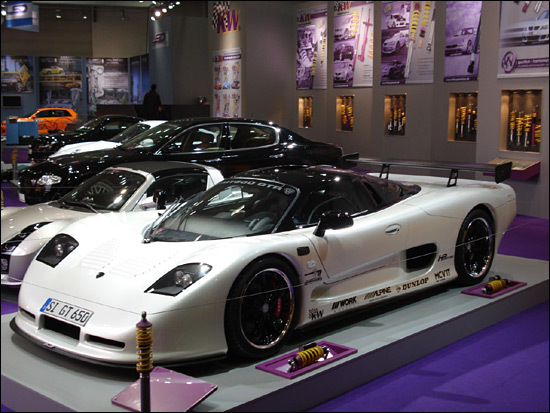 The Essen Show starts today, December 1, and there are four Moslers on display there. 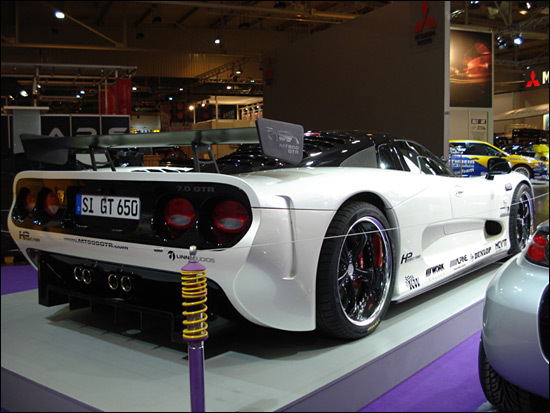 The white one, the MT900GTR, has been developed by Mosler Deutschland. 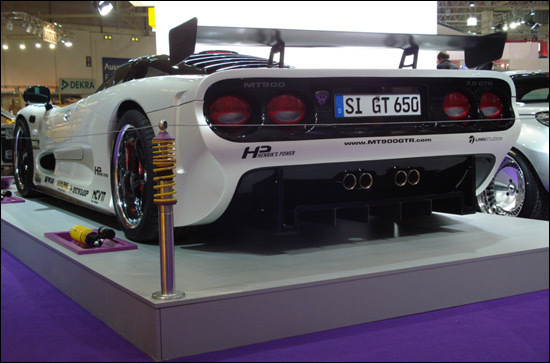 While Mosler Europe initially offered a 5.7 litre / 440 bhp road car, the German 'branch' wanted more than that for the autobahns, so they were given the go-ahead to install and develop a seven litre version, with 600 bhp. Meanwhile, at Breckland in the UK, they've developed a supercharged version of the smaller V8, developing similar power to the seven litre. 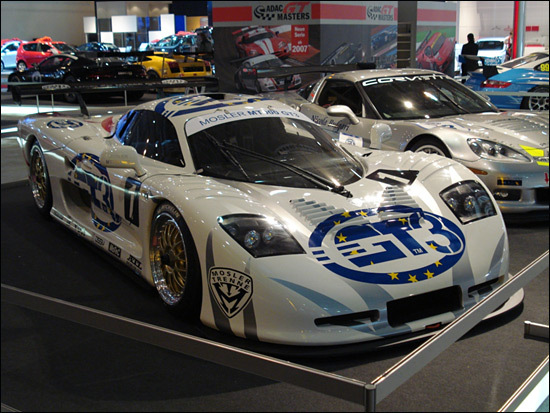 The car with the GT3 stickers all over it is the one that was on display at Cologne (where it generated enormous interest, as already reported) earlier this month - and subject to approval by the FIA World Council in just over a week, this one will race in British GTs in the hands of Guy Harrington and Charles Bateman. 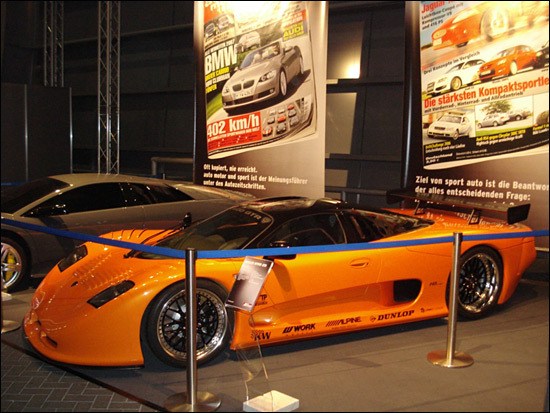 The orange car is a conventional road car (but fitted with the LS7 engine), while the fourth one at Essen (not photographed) is the Guino Kenis Belcar machine.